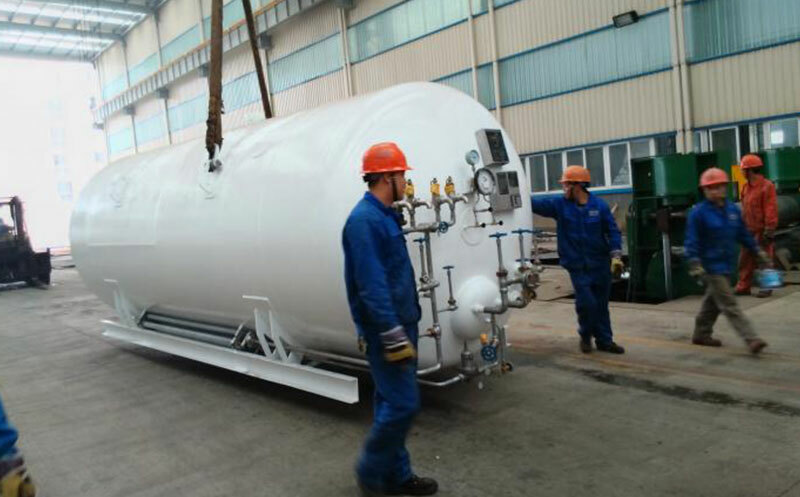 What Should I Pay Attention To In The Usual Cryogenic Liquid Storage Tank? 1. Whether the valve or pipeline leaks, whether the shell is frosted or sweating. 2. All valves are in normal open and close state. 3. Whether the instrument of the cryogenic liquid storage tank (level gauge, pressure gauge) works normally, and whether the parameters displayed by DCS are consistent with the one-time table on site. 4. If the pressure of the storage tank is normal, when the pressure is close to or equal to the highest pressure, it is necessary to open the vent valve to release pressure. 5. Whether the liquid filling rate exceeds 95%. 7. It is strictly forbidden to place all flammable, explosive materials and all kinds of debris near Cryogenic Liquid Argon Cylinder.